The system consists of 132 Sunpower 225-WHT panels, and 6 SMC5000A inverters. The system installer was ClearSolar and the local electrical contractor was A1 Electrical in Mitchell. 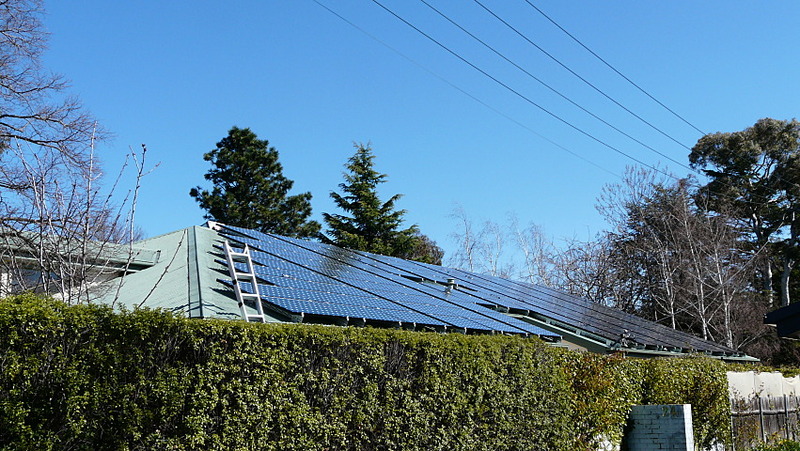 The system is installed on our house in Canberra, Australia. The roof is Colorbond, at an angle of 25 degrees from horizontal. The orientation is about 20 degrees West of North. The panels are laid out in a landscape pattern, to try to improve the airflow in summer. There is a stringing diagram in the photos section.